I remember my first online accounts. I just wish I could find them. When I was a teenager, there was some blogging or profile site most people in my school had, and I can't for the life of me remember what it was (I'm pretty sure it wasn't Friendster, MySpace, Xanga or LiveJournal -- I really have no idea). I do remember my page having a black background and lime green text, and there was a little "about me" section. I remember this because my brother told my mom, and I got in trouble for using foul language when expressing my Cubs fanaticism. Ah, teenage angst. This page has to be on the Internet somewhere. So does the MySpace page I maintained until at least 2005. I can't find them. Maybe you're in the same situation. I asked some cybersecurity experts for some tips on how to find, and close, those old accounts. Going to sites where you think you had an account and trying to use a "forgot username/password" function might help you scrub old accounts from the Internet, but it's tough to remember all the places you've had accounts. "We forget about these things and we don't remember what our footprint is," said Todd G. Shipley, president and CEO of Vere Software and a former investigator for the Reno, Nevada, police department. Because people tend to use the same usernames (and passwords, unfortunately) across multiple platforms, try plugging it into search engines. "Google (GOOG) the username and see if it shows up someplace." A quick Google search isn't likely to get you very far, especially if you have a large online presence. (For example, because my name is on everything I write, I had to go through more than a dozen pages of search results to get to some old stuff.) Try using a variety of engines, like Bing, Yahoo, Ask, DuckDuckGo and others. "It's time-consuming, and it's a pain, ... but it's how you do it," said Alexis Moore, an author of books on cyberbullying and cyber self-defense. 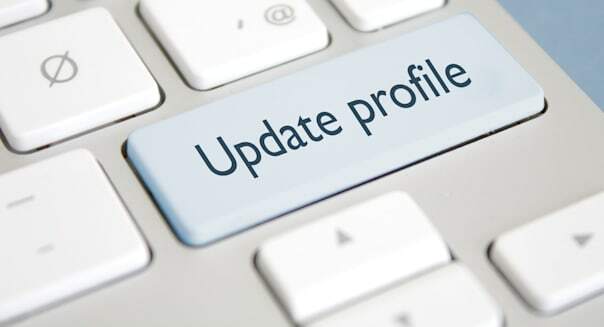 You never know what sort of information you plugged into old profiles, so Moore recommends trying everything, like old addresses and phone numbers. Shipley said he always uses Spokeo in investigations, but you have to pay for the service. He also recommends setting up a Google Alert for your name, because sometimes obscure accounts pop up in them. If you find an old account or are certain you had one and can't get into it, all you can do is contact the site and ask for access. That's a tough route to take, though. Shipley said companies often aren't helpful in accessing an account, especially if you don't have access to the email address associated with it, so you have to be persistent. Even if you hire a consultant or a reputation management company to do the heavy lifting, they may not be successful. I spent several hours searching for old accounts under various usernames and email addresses I had, and it wasn't very fruitful. I found a bunch of meaningless stuff -- random services I signed up for once and forgot about -- and an old Twitter (TWTR) account I never used. The search helped me delete a few old things, but I never found the elusive MySpace or that first social profile. That's just my experience, however. It's worth trying, because even if you're not looking yourself up, someone else -- like a future employer -- is. I also talked to a lawyer about finding old accounts, and he recommended leaving instructions in your will for handling your online presence. "My experience comes in as an attorney who works with people arranging their estate plans and trying to reassure that their assets -- that would include their digital assets -- are taken care of, either during any period of incapacity or upon their passing," said Stanley Brooks, a lawyer in Wellesley, Massachusetts. He said many online terms and conditions limit who can access an account, making a mess of things when that user dies and family members want to access it. You may also want to track down these old accounts because of the identity theft risks. Did you post the name of your elementary school to that MySpace page? What about lamenting the loss of your beloved family pet in your blog? Believe it or not, an identity thief can use this information, combined with your name, to make a solid attempt at hacking your accounts. Often, these small details are used as security questions, which is exactly what can make you vulnerable. If you're worried about your online accounts being compromised, in addition to using these tips, it's also smart to monitor your bank accounts regularly, clean up your email inbox to prevent phishing and malware, and check your credit regularly to combat new-account fraud. Here's the takeaway: Google yourself often, authorize others to access your information upon your death and try to be smarter about how you use the Internet than you were a decade ago.